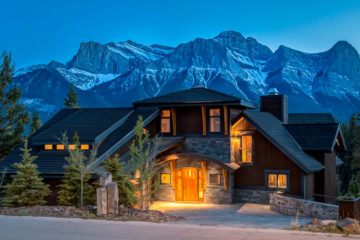 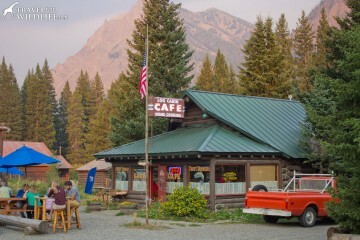 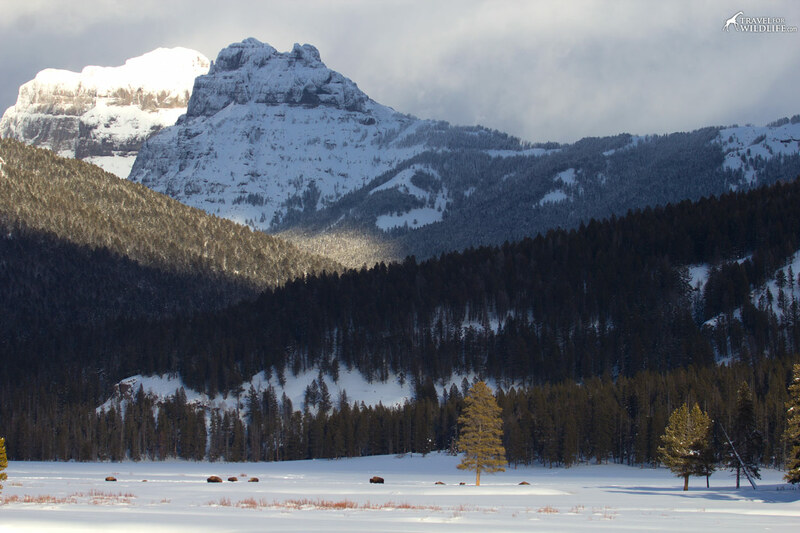 Nothing symbolizes the American wilderness like the howl of a wolf, a grizzly fishing for salmon, or the sight of a bison herd grazing the great plains. 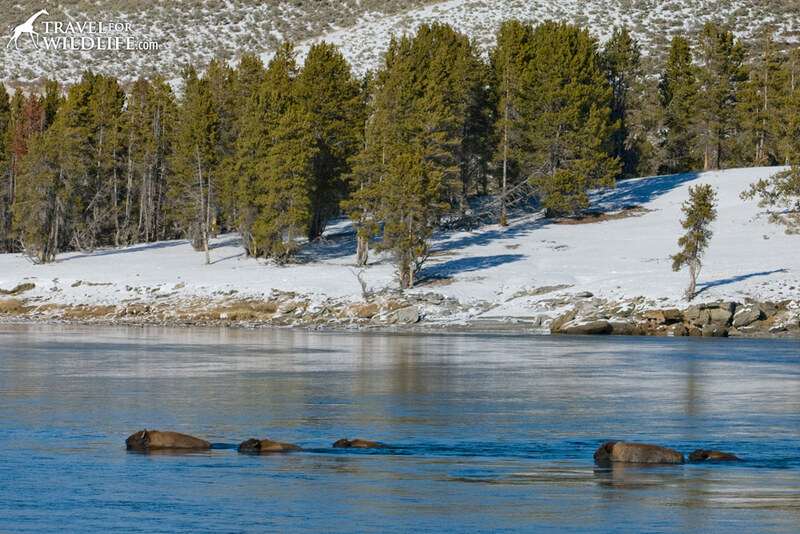 But only one can be the new National Mammal. 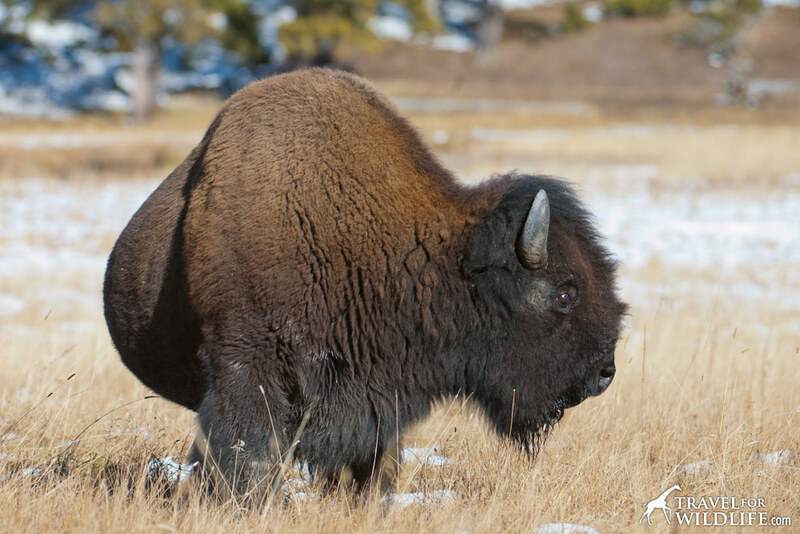 After years of effort, the well-deserved title now belongs to the Bison (also known as the American Buffalo), who has been named National Mammal of the United States. 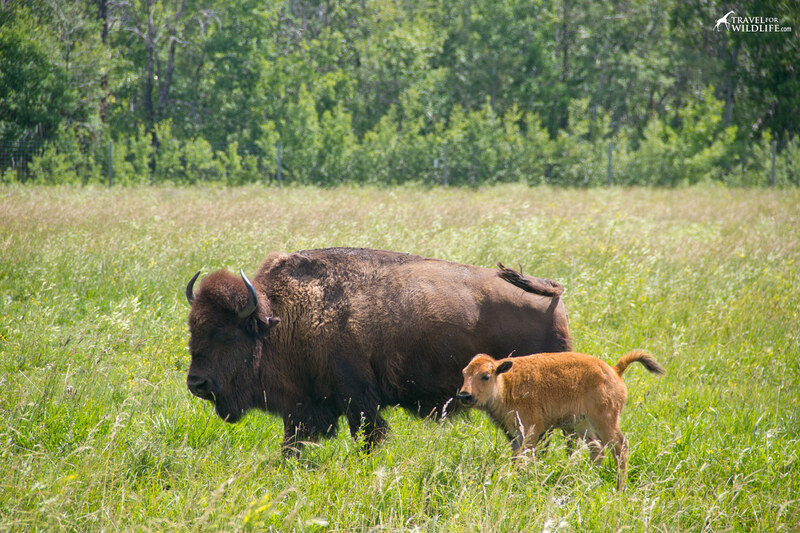 On May 9, President Barack Obama signed the National Bison Legacy Act, designating the bison the status of national mammal of the U.S. As the national mammal, the bison now joins the bald eagle (designated as a national emblem in 1782 at the 2nd Continental Congress), the oak (designated as the national tree in 2004) and the rose (designated as the national floral emblem in 1998), as official symbols of America. 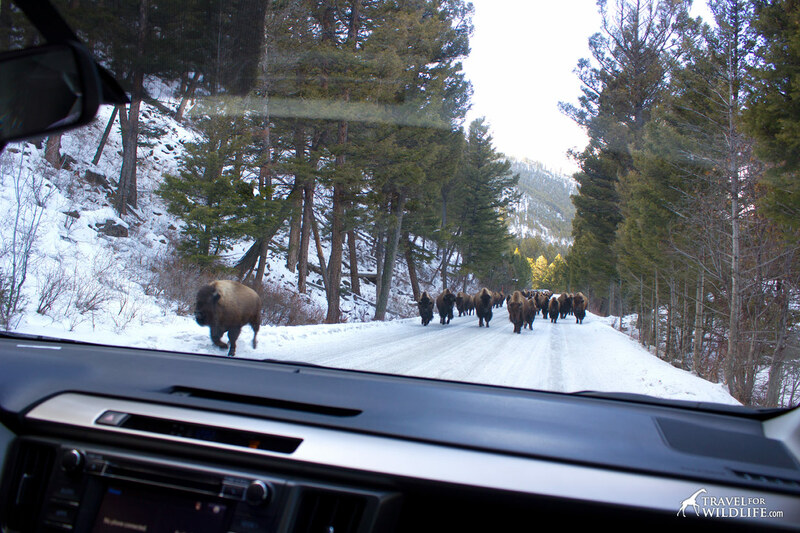 Dozens of organizations have supported the initiative in a push that lasted several years, led by the Inter Tribal Buffalo Council, National Bison Association, and Wildlife Conservation Society (WCS)—more than 60 in total, according to the WCS in a news release. 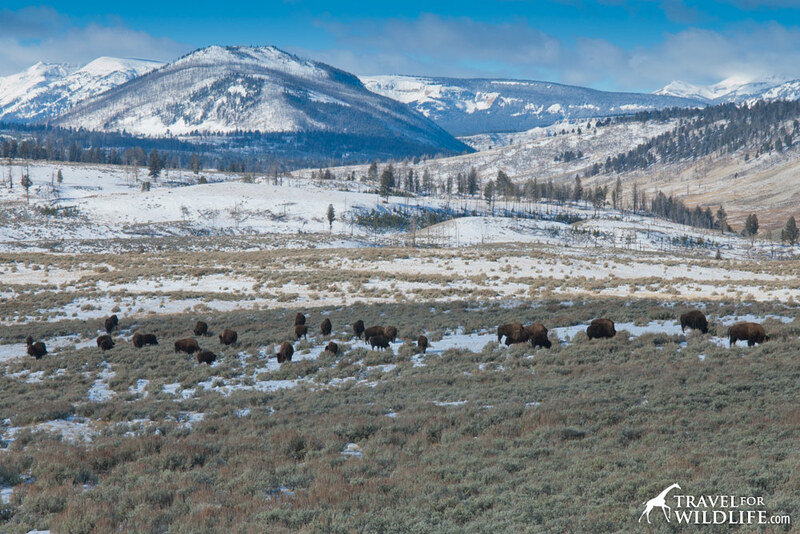 “This marks the final step in a four-year effort, led by the Vote Bison Coalition, to honor the bison, which is culturally, historically and ecologically important to the United States.” the WCS noted. 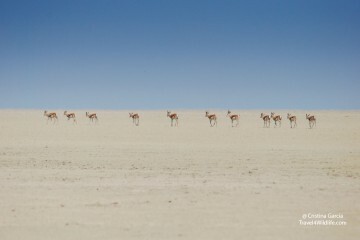 From a population of tens of millions of individuals to less than a 100 remaining in 1902, their numbers are finally rebounding, but wild populations are still in trouble. 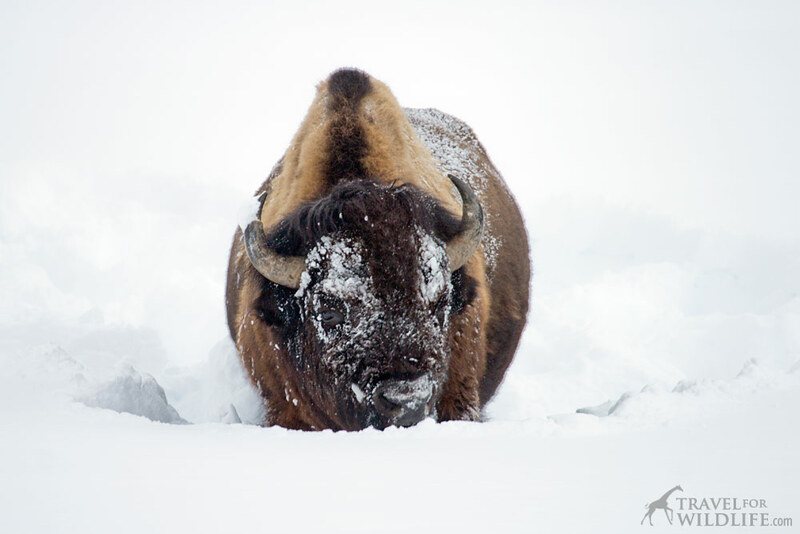 According to Defenders of Wildlife, there are more than 500,000 bison living in North America, but most of them are not wild, pure bison, having been cross-bred with cattle in the past and are now semi-domesticated for meat production. 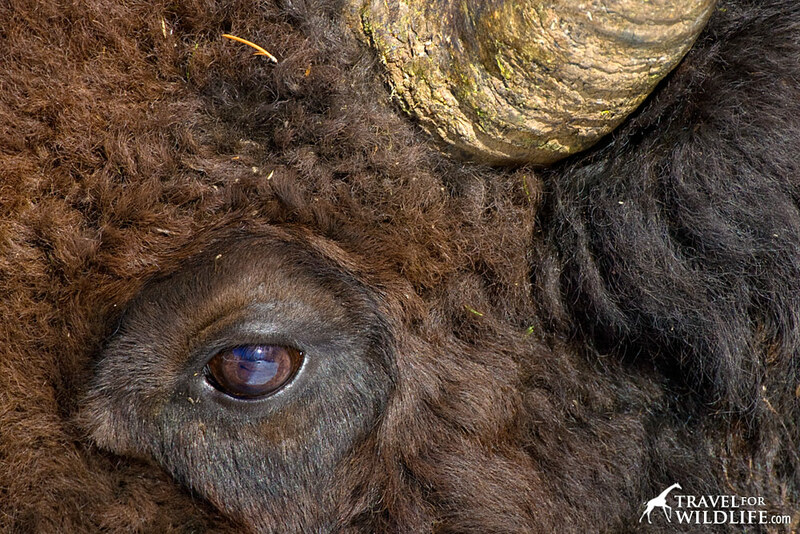 Fewer than 5,000 wild, un-fenced, and disease-free bison remain. 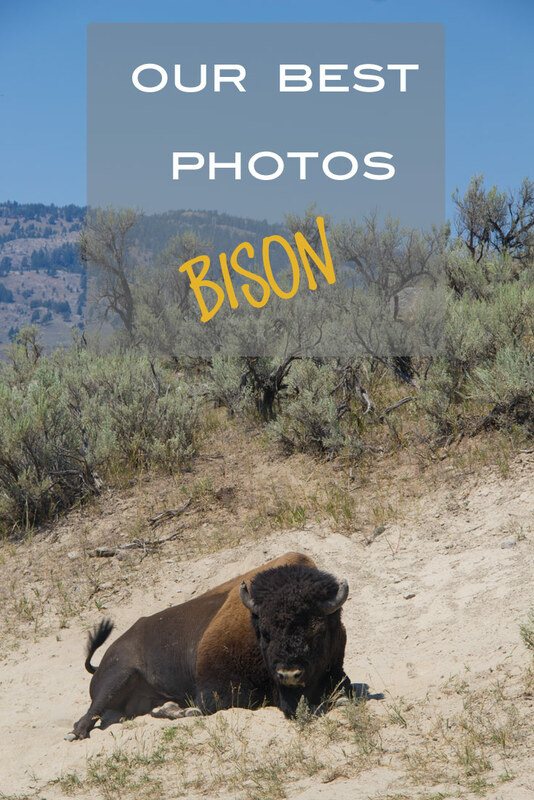 In honor of our new national mammal of the USA, we’ve collected a few of our best bison photos to say “Congratulations to the Bison!” and may it long wander the American prairies, wild and free! 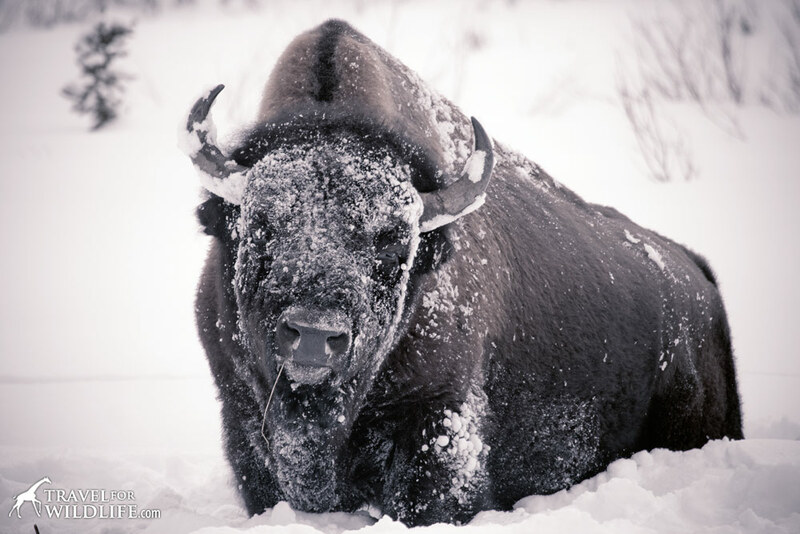 Bison can still graze in three feet of snow by using their huge heads as a snow plow! 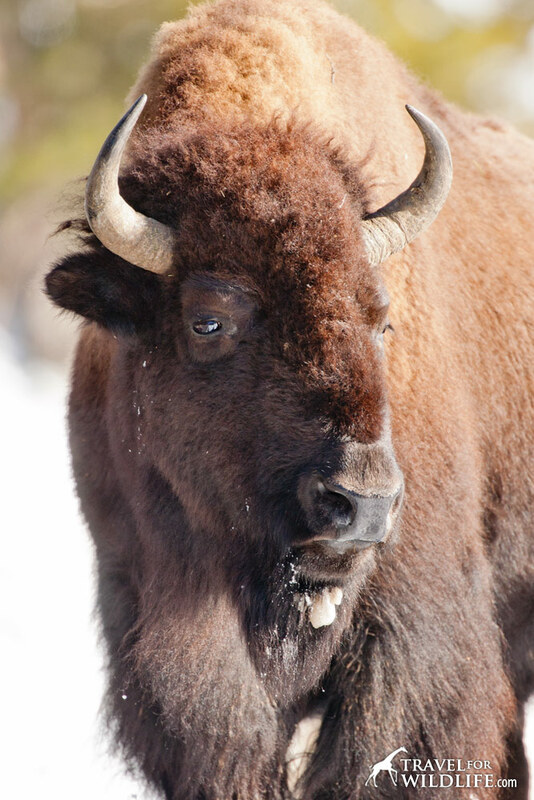 Female bison like this one have thinner horns and narrower heads. 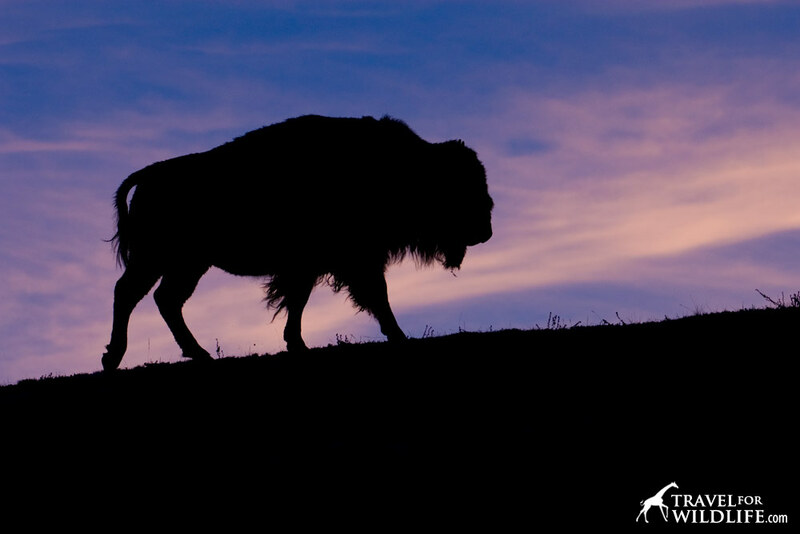 Bison are the largest land mammals in North America (up to 2,000 pounds!) 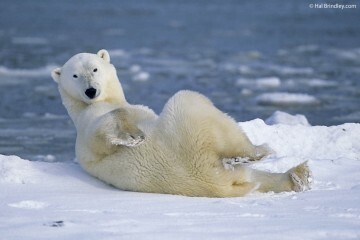 and this one looks exceptionally fat! 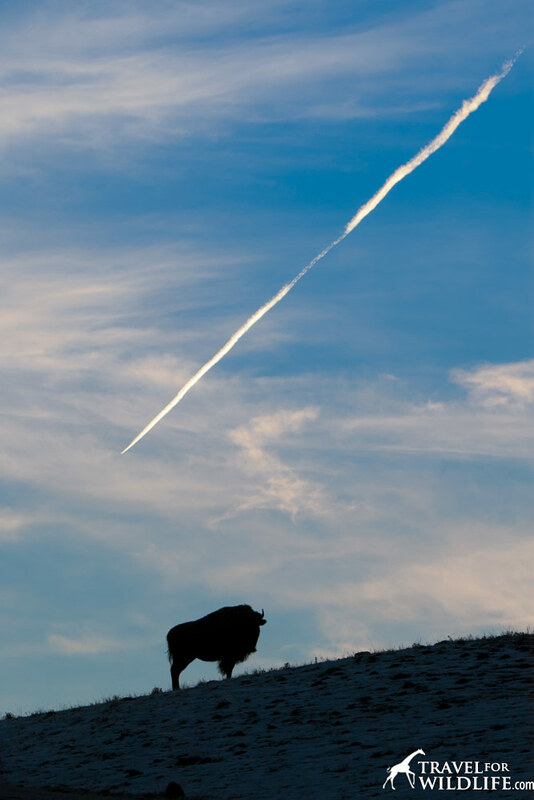 Bison watching a jet trail cross the sky. 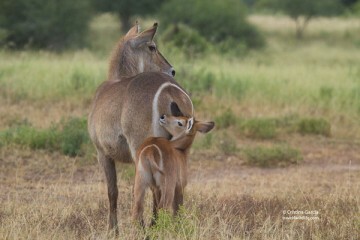 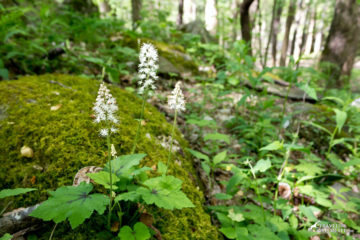 This ancient species now needs our help to persist in a human-dominated landscape. 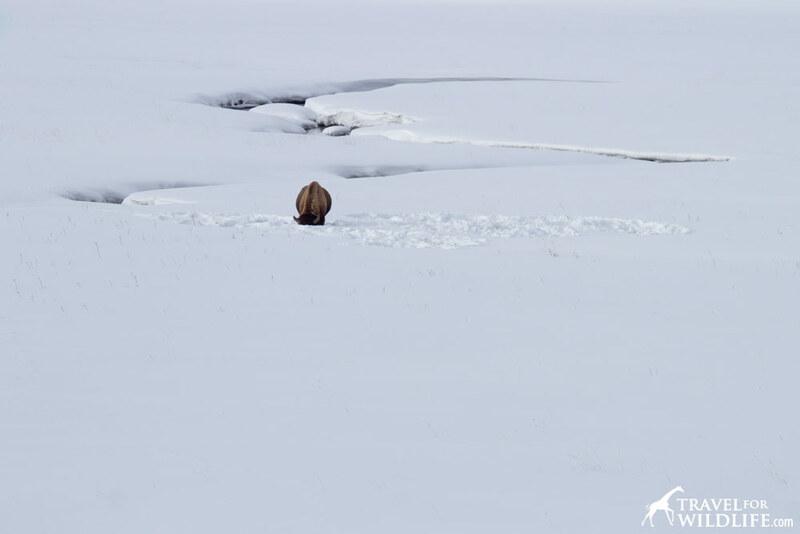 Bison plowing snow to graze in the middle of January. 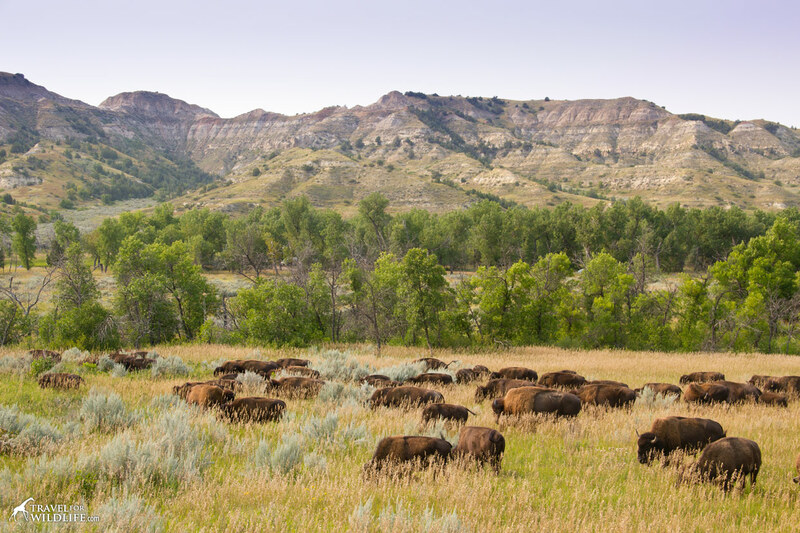 There is no greater symbol of American wilderness than a herd of bison grazing the plains.